Springtime is a good time to plan for those summer weekend getaways, when school is out with the kids, or for some family gathering at a favorite spot, maybe just a quiet weekend picnic or perhaps even a family vacation. Maybe this year a new location might be of interest. Consider then Lincoln County. There are five Nevada State Parks within the county itself and not a great distance from one another. 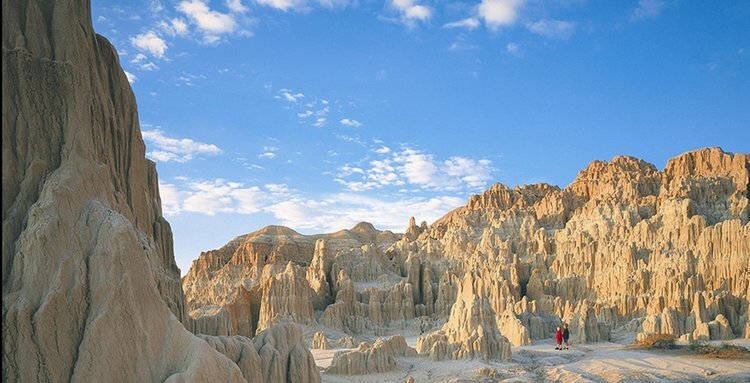 The best known is Cathedral Gorge State Park, about one mile north of Panaca with an easy turnoff along U.S. 93. The Regional Visitors Center there is open daily from 9 a.m. to 4:30 p.m. The park itself is open year round. Geologists say about a million years ago the area was covered by a freshwater lake. Over time, as the waters receded, erosion exposed portions of the sediment and gravel. Rainwater and snow continued to split cracks in the rocks and grounds that grew and grew to larger and larger gullies and canyons. In the late 1800s and early 20th century, it was known as Cathedral Gulch, a popular spot for locals to have picnics, parties, and even weddings. In 1935, it was chosen to be one of Nevada’s four original state parks. Camping fees do apply, and there are full hookups available. Daytime use entrance fee is $5 per vehicle. Another nearby park of interest is Kershaw-Ryan Park, two miles south of Caliente on State Route 317. Kershaw-Ryan is often referred to as “Nevada’s best kept secret.” In a beautiful setting of steep canyon walls that tower above, there is a long narrow valley with a spring feed creek pond that contrasts against the rugged landscape. The Nevada Park to Park Pedal and Extreme 100 bike ride in October, covering over 100 miles for those that want to, begins and ends at Kershaw-Ryan. Park facilities include day use picnic sites, group use areas, restrooms and trails to scenic overlooks and other backcountry locations. Kershaw-Ryan is also being included in the new International Mountain Biking trails that are being created in the Caliente area and will soon be connected with those trails. Other parks to see in Lincoln County are Beaver Dam State Park, Echo Canyon State Park and Spring Valley State Park. Spring Valley offers water-related recreation opportunities because it is right across the road from the 65-acre Echo Canyon Reservoir, where boating, swimming and fishing are allowed. 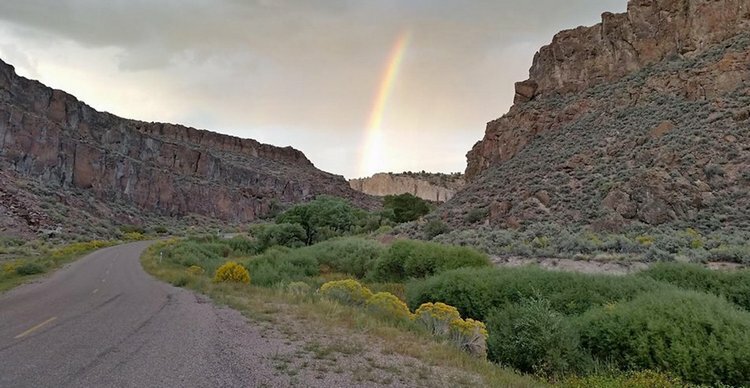 A third place of interest, although not a state park, is the End of Rainbow Canyon Ranch. 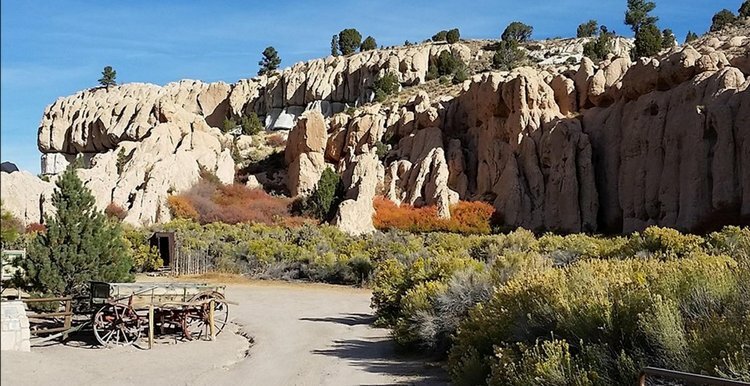 Located just south of Caliente down SR 317 and about 25 miles further south from Kershaw-Ryan toward the historic Elgin one-room school house (a state park in itself), the end of the canyon provides colorful cliffs and geological formations. 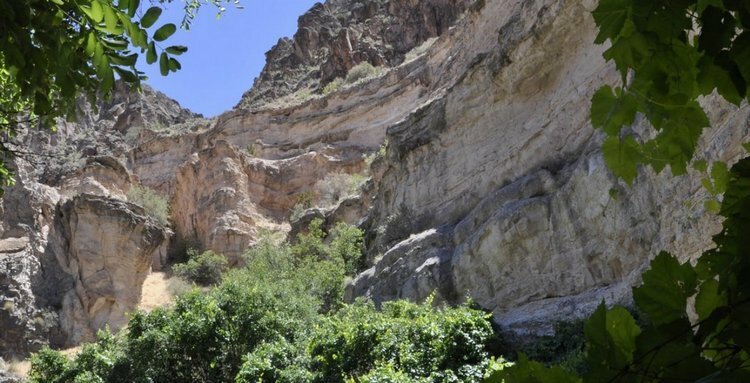 Along some of the trails that can be hiked in the canyon painted pictographs and carved petroglyphs can be seen, which anthropologists believe to be somewhere in the neighborhood of 3,000 years old. The Union Pacific Railroad travels through Rainbow Canyon and has for over 100 years. In any of these locations, because you are away from the lights of the big city growth, pollution, hustle and bustle, you’ll be able to enjoy a clear nighttime sky full of brilliant stars. Most all the necessary information on the parks can be found online at www.travelnevada.com. It’s all right here waiting for you this spring and summer in Lincoln County.